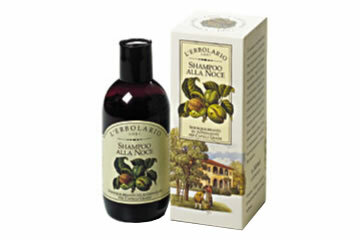 Sebum-regulating and astringent for oily hair. Thanks to the new active ingredients with which it has been enriched, and to its balanced washing base, the Walnut Shampoo eliminates excess sebum and gradually restores the natural balance of the hair and scalp. Its sebum- balancing action means that the hair stays cleaner longer: week after week it regains lightness, volume and hold, becomes shinier and keeps a style better. It works, it really works. And it's from l L'Erbolario the italina leading beaty product company.